This class requires a per-requisite class: Intro to Welding. All students will be creating the same project. •	Be given all the needed metal parts for them to cut and weld to create this project. •	Be taking home their creation. •	Review welding safety and shop protocol. •	Introduction to design layout for metal project. •	Cutting metal with Plasma Cutter, use of metal cutoff saws grinding of metal for welding prep. 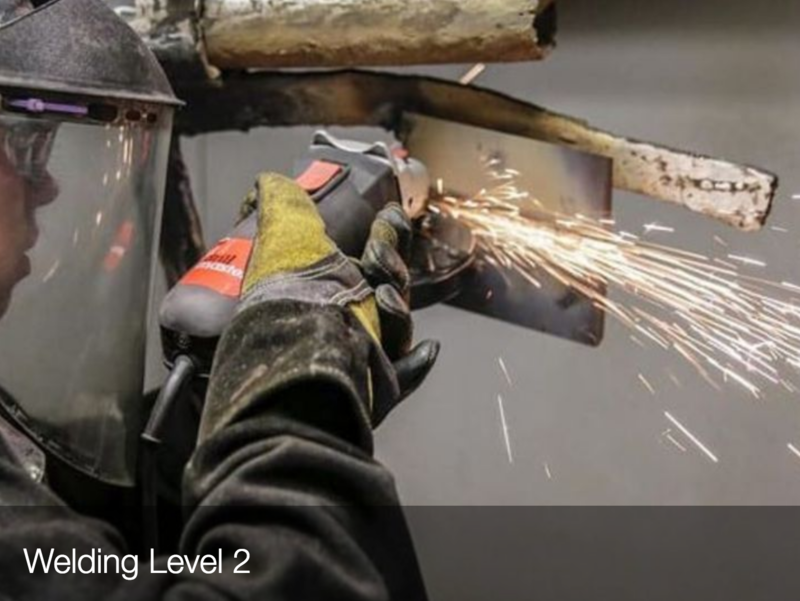 •	Instruction on proper methods of welding numerous metal pieces together to create your project. The student will be given enough direction and guidance to complete this project. The student needs to be self motivated and confident in order to complete this class.